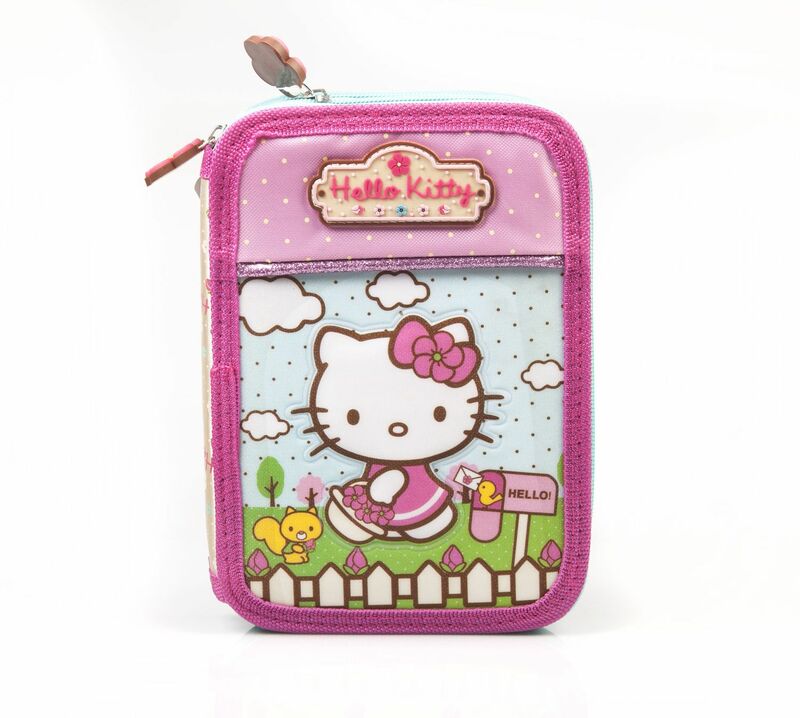 Gorgeous Hello Kitty 2 tier pencil case filled with stationery items. Perfect to match the also available backpack. 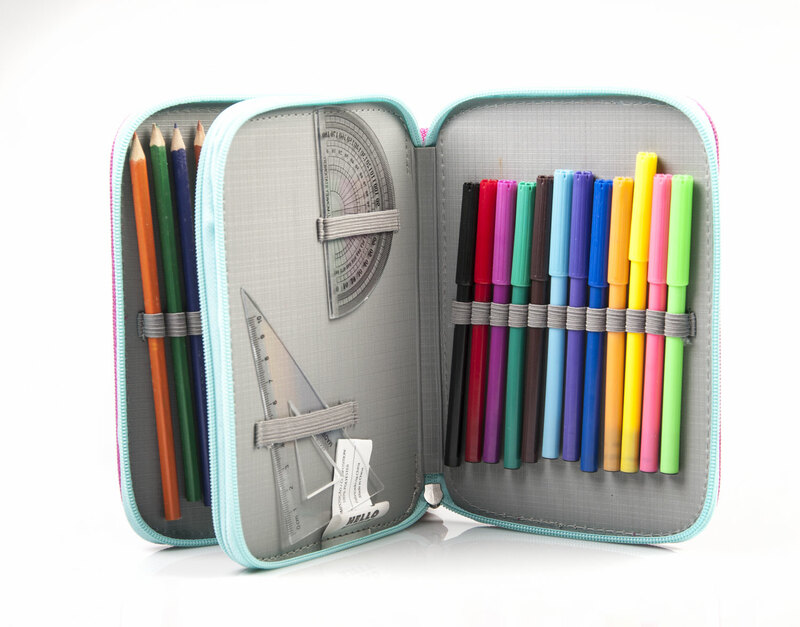 Comes with approximately 32 piece inside from colouring pencils to ruler, eraser and many more.